A brand new 15 x 67 Starlite Houseboat, designed for salt water, this is a very high quality and well build houseboat. 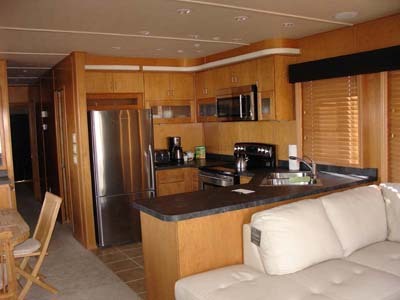 This 4 bedroom 2 bath features two powerful Merc diesel engines and a 20KW diesel generator. Unlike gas engines, diesels are much more powerful, reliable and require less maintenance. The master bedroom has a full size king bed with pillow top mattress. This boat is quality through out, from the stainless steal appliances to the self-closing cabinet doors. This is a Starlite build houseboat.